There are certain things you do every day. You brush your teeth, go to work, cook meals, and sleep. These are common, ordinary, everyday activities. Who would think that even the ordinary activities could damage your health? Being educated even in the mundane things of life is extremely important. Below are 10 everyday habits that may damage your health. Check them out and see if they are damaging yours. 1. Sitting. Many people have jobs that require they sit, but do you sit even more when you get home? The Mayo Clinic says that people who sit in front of a screen for recreation more than four hours a day have more than a 50 percent increased risk of death. If you have to sit for work, try standing at every opportunity you get or try taking a walk at lunch to break up the pace. 2. Cleaning the kitchen. "Cleanliness is indeed next to godliness" is an old saying; yet if the way you're cleaning the kitchen is to take a wet sponge or towel and simply wipe the surfaces, WebMD says you're doing more harm than good. You are creating an environment that bacteria loves to live in. Instead, microwave your wet rag or sponge for 60 seconds before wiping the surfaces, killing any bacteria that may have been in it. 3. Drinking water. What? Aren't you supposed to drink eight 8-ounce glasses a day? WebMD says to drink when you are thirsty. If you drink too much water, you can dilute the sodium in the blood, creating other health issues. 4. Brushing teeth. Yes, this needs to be done every day, just with a little less vigor. Brushing the teeth too hard or too often can wear through the enamel and cause gum recession according to WebMD. 5. Snacking. Eating when you're not hungry can create all kinds of problems. Reader's Digest (RD) points out that what's generally snacked on is junk food, so unhealthy food is being consumed, causing weight to be gained, sodium to rise and cholesterol levels to go up. 6. Cell phones. Cell phones are great devices when used appropriately, but people are glued to them today. Cosmopolitan shares that when used before bed, the light from the cell phones or tablets triggers our brains to stay awake. 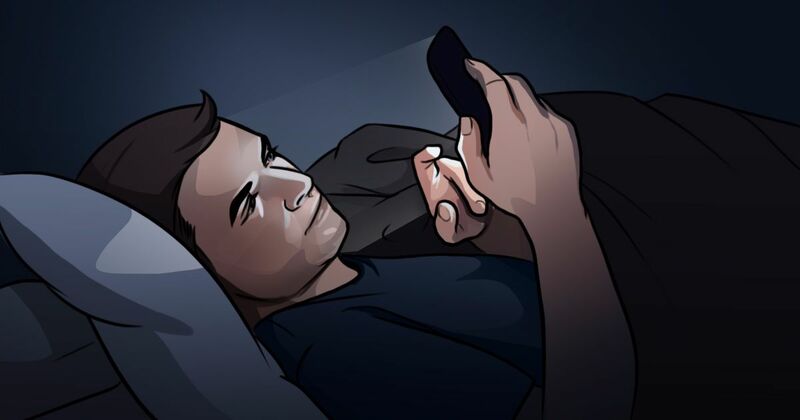 If you should sleep, the quality of sleep will be worse than if you had simply turned off the device well before bedtime. 7. TV. Everyone likes to sit and watch a good movie, but RD points out that too much of a good thing can become bad. Sitting at the TV means you're more prone to snack and less active. Use it wisely. 8. Vitamins. Taking vitamins is something many do without a second thought. WebMD states that as long as you don't go pass FDA recommended allowances, you'll be fine. Taking too much of certain vitamins and minerals can create serious health issues, though. 9. Skipping breakfast. Often people who are trying to control what they eat skip breakfast because they aren't hungry or just don't have time. RD says to make the time as skipping breakfast actually will cause you to gain weight. Eating something, and it can be small, tells your body it's time to get going and triggers your metabolism. Without that trigger, you may end up gaining more than you lose. 10. Sleeping in. WebMD points out that although many people don't get enough sleep during the week, sleeping in on the weekend may be worse than the sleep deprivation. By sleeping in, you throw off your body's rhythm and can trigger headaches. Some of these are surprising and will take some adjustments to break the habits and routines. With a little bit of self-discipline, though, you can help improve the quality of your life by getting rid of a few hurtful habits. Please SHARE this useful information with your friends on Facebook!